With the inaugural hearing discussing plans for Apple’s new Cupertino-based “Spaceship” campus scheduled for tonight, the city’s mayor Gilbert Wong has understandably been thrust into the spotlight over what the world’s largest technology company has planned in the near future. Wong said Apple executives have told him the company is expanding so fast that it expects to start working on Apple Campus 3 at an unknown location after they finish the second headquarters in 2015. 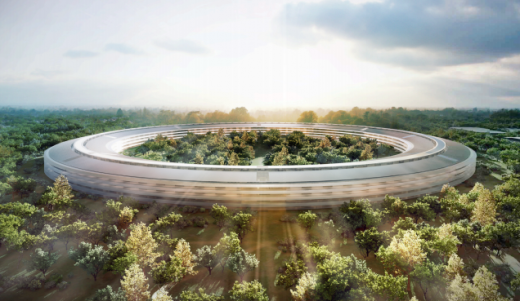 An Apple spokeswoman declined to comment on plans for the rumoured third campus. Apple’s new 176-acre campus will could become home to around 13,000 employees, 1,000 more than Steve Jobs suggested when he first detailed Apple’s plans in June. It will incorporate a 25,000 square-foot fitness centre, a 1,000-seat auditorium, a “striking cafe” and nearly 11,000 parking spaces. Five research buildings will also be build on the grounds. Thursday’s meeting will look at how Apple’s new project will affect the local area, analysing increases traffic and vehicles in the area, looking into the removal of trees, buying a piece of road that encroaches onto the property and demolishing it, and requesting the re-zoning of specific areas. If you are interested in Apple’s plans, you can view a live stream of the hearing tonight cupertino.org/webcast – between 6:30 to 8:30 EST.